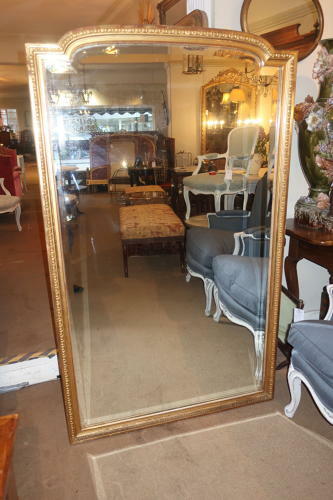 A large French antique mirror, with original beveled plate and original gilt to the frame. All in excellent condition with some red ochre finish showing through the gold leaf which gives an attractive appearance. In the Louis XVI style ,dating to the late 19th Century.